Last week’s post began a discussion of things we do to create a culture of spectators in our church rather than creating an environment that helps people worship with heart, soul, mind, and strength in participatory worship. If you did not have a chance to read that post, please take time to read that one first. Today, I want to address perhaps one of the greatest “transgressions” of worship leaders that leads to congregational spectatorship–the key of the song. 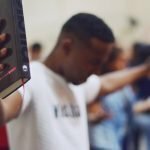 It is difficult to say just how huge this issue is, but I have experienced this problem in the majority of churches that I have attended that have a contemporary or blended style of music. In order for people to sing the songs of worship, the songs have to be pitched in keys that the common person can sing. If songs are too high, many people just stop singing because it hurts to sing high. Some drop the key an octave it the song is pitched really high. The problem is that the average singer has a medium range, and many worship leaders have high voices and want to pitch the songs in keys they sound the best in. 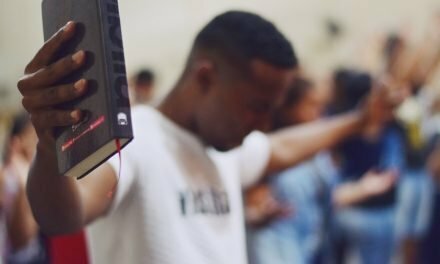 Remember that worship is not about dazzling the congregation with our awesome vocal skills.As worship leaders, it is paramount that we do all we can to facilitate the worship experience in such a way that the congregation can become involved in worship, setting an environment for people to encounter the transformational presence of God. Here’s the bottom line. Select keys for songs that have the lowest note the congregation will sing at a Bb or occasional A. The highest note should be a D or Eb. The average person will struggle with E and above. (This is such an important concept that I have participants in my worship conferences to raise their right hands and pledge that they will never again lead the congregation in inappropriate keys!) If parts of the song stay at the high end of that range for a lengthy period, it will tire voices fast, so those songs need lower key considerations if the lowest note in the range is in acceptable limits. 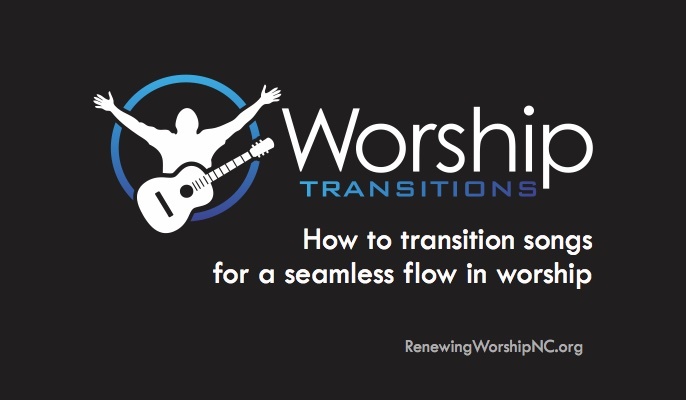 What does that mean for your worship band? Once you have selected music that will be part of your congregational song (I will address song selection soon), determine what keys are acceptable for the voice range. There may be 1-3 keys that work, depending upon the range of the melody. Then always use those songs in the keys that you have determined are best. Here’s an example.The song, Mighty to Save, is often done in the key of A. I have been in worship services where it is sung in an even higher key. The range of the song in A is within the guidelines until you get to the bridge, “Shine your light and let the whole world see….” Not only does the bridge go to a high E, but it stays high in the range throughout that section. The key of G works much nicer, and F is even better for the congregational voice. Conclusion, use the song in either the key of F or G (or endear yourselves to your musicians and do it in the key of Gb). Note: if the music you do comes from a hymnal, most likely the music is already placed in good keys for congregational singing. 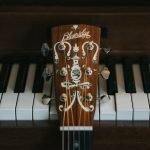 Need help with finding the right keys for your songs? Here is a great resource. 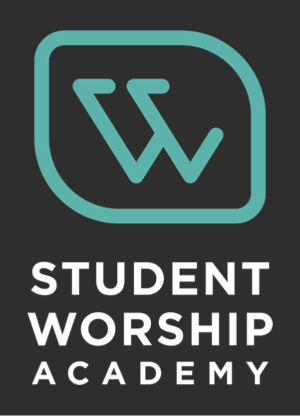 Next week I will talk about another major hindrance to participatory worship–new songs. 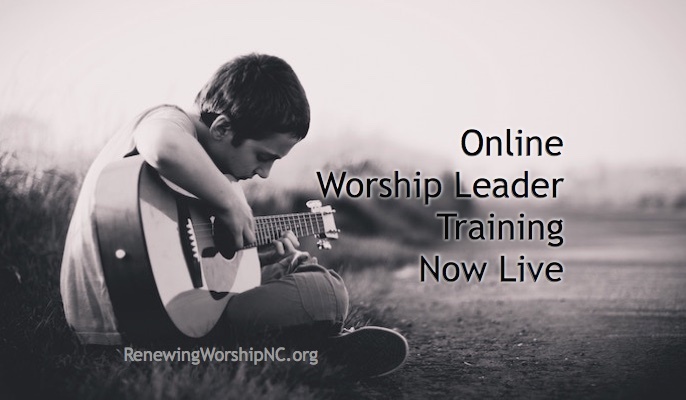 New songs can kill our worship or they can greatly enhance our worship. How do we make that determination? See you next week. Take a look at the post. 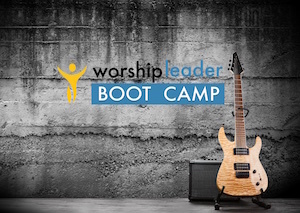 NextNew Songs: A Worship Enhancer or Worship Killer? I had never looked at this topic in detail, but what I noticed years ago was that when women picked the song keys, men could not sing them. While you were looking for overall participation, I was looking at adult male participation, and ended up with A-D as a workable range. In small churches where the organist or pianist is female, they tend to pick keys either easy to play from hymnals, or to fit female ranges and then wonder why men are silent, not involved and often leave. So we are not talking pew potatoes, but adult male involvement. As was mentioned in a comment above already, another commonly-taught target range is C-C. It’s more narrow, but it generally fits with the A/Bb-D/Eb range since it’s centered right in the middle of that. 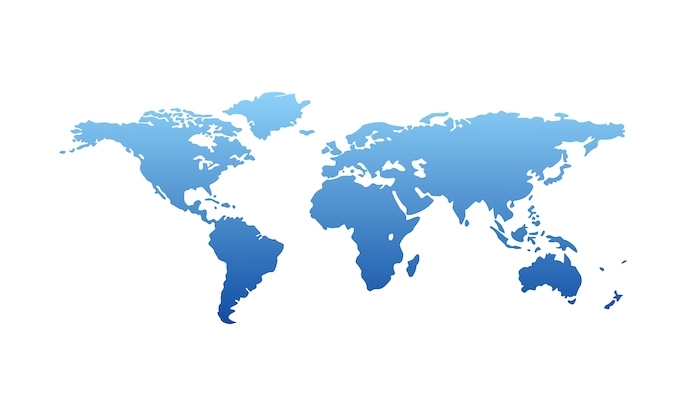 The A-D model is just an acknowledgement to the slightly larger range that many people have, but it still centers on the important region. It also gives a little more wiggle room for choosing a key, if the song in question has a smaller melodic range. You can “slide” the key back and forth a little more since the edges have more breathing room with the A-D model. An easy way to remember the general range (for Americans, anyway) is to remember “From C to shining C.” This is a very memorable line (for many reasons) and focuses you on the importance of centering the song properly. I’m a low-ish baritone, and I have a slightly larger range than the average person (but not as much as I would like), but I generally use the upper part of my range because it fits well with the standards for congregational singing. A lot of modern Christian artists are getting into the tenor range (probably a holdover of sorts from classical star vocalists), and that’s why most people have trouble singing in their range. Also keep in mind that baritone is in the center of the male ranges, so on average, it’s a better fit for most men since it’s largely still centered on that C-C +extension range. Tenors and basses can generally sing in the C-C +extension range since it hits the lower side of the tenor range and the higher side of the bass range. For women, alto (mezzo-soprano) is probably the more common range, though there are certainly still a lot of sopranos. The alto range is also a good fit for the C-C +extension range, with the extra space above and below (within its respective octave, of course). 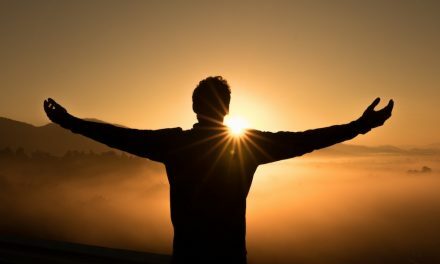 Remember that the goal of all this is not to find the key that works for everyone, but to find the key that works for the most people possible so that the large part of the congregation is participating and finding a personal connection with God rather than just becoming a spectator and watching someone else have a connection with God. Btw, those guidelines for vocal ranges aren’t saying that a person in each category will have that entire range–a person in a given category will have a range somewhere basically within that given range. I would hate to have people presume the average person has a 2-octave range! You are naive to think that you can just transpose melodies into different keys without also changing the color and sentiment. This is fundamental to the music and why it was composed that way. Amazing Grace must be sung in G; if you transpose to F or Eb, then it just sounds wrong. Those major keys each evoke very different sensibilities. Transposition changes the spirit of a melody, and usually for the worse. Hence the very tricky and subtle art of applying modulations in “high church” organist styles, which takes theoretical discipline and great care to succeed. 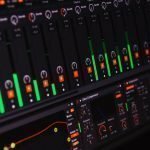 Just because you have capos on guitars, efforless transpositions on MIDI instruments, or genius musicians who transpose on the fly, doesn’t mean you can just fix unsingable ranges with such facility. Wow! Didn’t you miss the whole point!!! It’s NOT about the art of music…it’s about people being able to worship! I’m thinking maybe God doesn’t care in what “key” the song is sang! In addition to what Connie said, notice the key that Amazing Grace is in. As you say, it is often done in G, That leaves the high note at a temporary high D (within the suggested upper parameters) and the low note at a low D (also within the suggested lower parameters). That key may have been chosen partially because it sounds a certain way–your point is absolutely correct, Richard, that changing the key of a song changes its color–but it was also chosen in part BECAUSE it is a singable range. The optional keys within the general range were probably collected, then tested to see how they sounded next to each other, leading to the key of G being selected. One thing a lot of people don’t realize is that Western society was a heck of a lot more sophisticated several hundred years ago than it is today, and a very, very large part of that was their musical knowledge, even for people who never performed a day in their lives. Musical awareness was common, so things like selecting a singable key was a natural part of songwriting. Our musical culture has discarded that aspect of songwriting. So yes, you’re right. transposing a song DOES change the spirit of a melody because of the tonal color. But a different tonal color doesn’t make the song less spiritual. In fact, designing a worship service that acknowledges that it excludes the large majority of the congregation is less spiritual. I’m not saying you have to rip all songs out of their original keys just for the sake of doing it, and at the expense of your worship leader’s vocal chords, but maybe it’s worth having secondary leaders with a better range to include congregational singing and have them lead songs within a set on a regular basis. Yes, thank you!! I’ve been trying to tell worship leaders to stop trying to sing in the same key as the recording because it is way to high. “Mighty to save” is an excellent example and one of many. Actually, I personally think that with if the service were held in the morning, the range might be even smaller because our vocal cords aren’t warmed up yet. I am sitting at #Simply Worship Conference in Lexington, Ma right now. The conference opened with 2 brand new songs led by a power tenor in keys unreachable to women. It should demonstrate how frustrating this subject is to me because I’m reading this blog in the middle of a conference on leading worship…..It’s now 2 hours later and I just got out of a seminar at the conference called “choosing the right songs and the right people”, which was meant to give solid guidelines to worship leaders on how to balance their songs and singers for their congregation. The seminar leader encouraged an audition process in larger churches to determine talent and drive (aside from spiritual maturity of course). I was interested in and supportive of this concept until he said, “Yep, if you’re a bass [vocalist], I don’t need you. Even a baritone, not really what we’re looking for…. If you can’t keep up with our current two tenors who lead, no thanks. Altos, won’t need you very often unless you can sing harmony to the tenors.”. Yes, I’m paraphrasing what the seminar leader said, but he was speaking to musically educated worship leaders and I cannot believe he is part of the blindest side of this issue. I’m totally frustrated. I am a college-educated classical vocalist who loves being part of a praise team. I am a music teacher for a living (private Christian school), and I am teaching the next generation that this practice of excluding the mature female vocal range in churches is actively contributing to the death of worship participation in New England. Also, in my college education as a vocalist, I was taught to respect and adhere to the same vocal ranges that were suggested above (A–>D) when leading any group of novice singers. Regardless of my abilities, stick to the ballpark 80% of my congregation can reach. An interesting read, though I’d be interested in what led you to A-D as the appropriate range. Did you conduct a study or consult available academic resources, or are you basing the argument on your own experiences with groups? If the former, can you please point me to the data? My own experience as a songleader had led me to a similar, albeit smaller, comfortable singable range for congregations: C-C.
Marshall, the A-D range (with an occasional Eb) has come out of several years of study with groups, consulting with other worship leaders, and taking note of others’ writings (sorry, no references to point to). I agree that C-C would be more ideal, but in reality, we would limit a vast number of great songs if we have to limit the range to one octave. When possible, that would be ideal. In my training events, I have groups sing worship songs in keys outside of the A-D for a demonstration of this concept. It seems they always have difficulties and begin to understand the importance of this consideration if we truly want to help our people to engage in participative worship. Thanks for commenting! Thank you for articulating this concept so well. I feel this is the #1 pastoral and musical hurdle to maneuver when incorporating Contemporary Christian Music in the church. The key sung on the radio is often chosen because it “pops” and sounds nice with a band (Key of B, capo 4 on acoustic, anyone?). But that will not do in a congregational setting. And as some artists continually stretch the ranges of their songs, it makes them almost impossible to sing in worship, no matter what you do to the key. 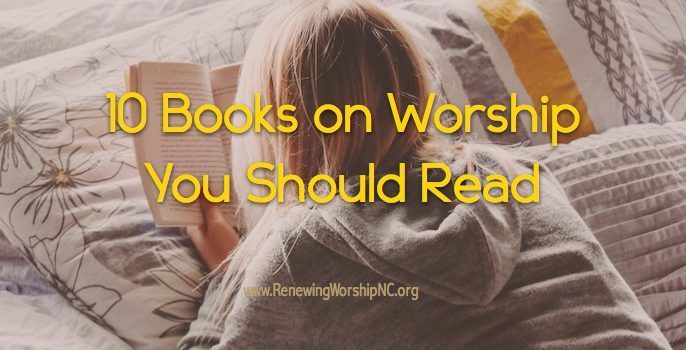 Choose songs pastorally and wisely, worship leaders! 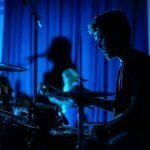 Excellent post – I spent last weekend at the Mission Worship conference and got really frustrated watching especially ladies not able to join in with (or at least having to revert to harmony or even dropping down an octave) some of our more revered worship leaders. Just because they sound great, it doesn’t mean that all find it easy to sing along. Just a question, when referring to the note range of the song which note would be the starting point to work from? Is the E note in your mighty to save example E two octaves above middle C? What would be the average congregation range? Sorry about all the questions, quite interested to try this on a few songs in our rep! Thanks for the questions. This is a VERY important concept to grasp to insure the congregation participates actively in worship. 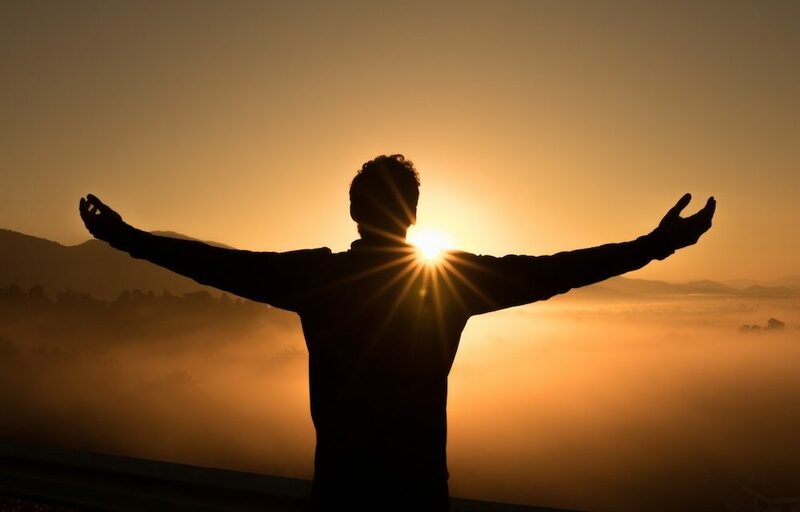 I have just written a new post that has a resource for the top 100 worship songs and the congregationally-friendly keys for each. The criteria listed there will be much clearer in understanding how to arrive at good keys for additional songs. Take a look at this page and the page it links to. In summary, the average range (thinking treble clef) is the A below middle C to the D or occasional Eb one octave above the middle C. Additionally, check out the other criteria on the pages I referenced above. 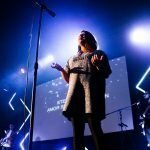 Kenny, on this post (https://www.renewingworshipnc.org/song-keys-for-maximum-participation/) from October 10, you listed the top 100 list from CCLI and good keys for congregational singing. You ended the post with the criteria for arriving at those keys. I understand the reasoning behind that thought process since I go through it with every new song I introduce at my church, but my guess is a lot of people may have to puzzle over it for a bit and go back and forth to see the idea in practice. You may have considered it and decided not to do it, but I think it would help people a lot if you added some reference in each song listing for the melodic range based on, say, just the first key option you list (e.g. 10,000 Reasons’ Pitch Range = Bb-Bb in Eb; Glory To God Forever Pitch Range = C-Eb in Ab). That way, people can see the commonalities in the upper and lower melodic pitches. I’ve found that when I’ve talked with people about the range (including my wife, who has had largely the same musical training I have), they can’t naturally match up the concept of centering the outer melodic pitches to fit the ideal congregational range. I’m not really sure why, but then, my brain works with music more naturally than probably anything or anyone else I know. I would have left this comment on that other post, but there is no comment section on that page. I guess that shows that I’ve looked around your blog a bit, huh? Yep, hymnals often have songs pitched “too high” because they are trying to fit a full 4 part harmony below and need to not be too extreme to bassists either. Also, at some point “too high” is “nice and low” for some… I guess I’m not completely sold on this concept, but I’d like to be! Do you have any more reference work on this? I’d love to study it further. Thanks! I guess this is a case of “you can have one or the other – choose”. If you like and want to encourage congregational harmony, don’t try to re-pitch everything so that everyone can sing the melody. If all you want is unison melody, go for it. Different congregations have different needs and abilities. Professionals get paid to serve those needs, and grow the abilities. That’s a great point and one some worship leaders don’t realize. I’d disagree a little about the use of hymnals. Newer ones are better, I believe, but our church still has the 1993 Baptist Hymnal and the songs are consistently too high for most people to sing. I’ve transposed about 75% of the songs we use on a regular basis from that hymnal so we can sing them together in a key that doesn’t distract from worship. 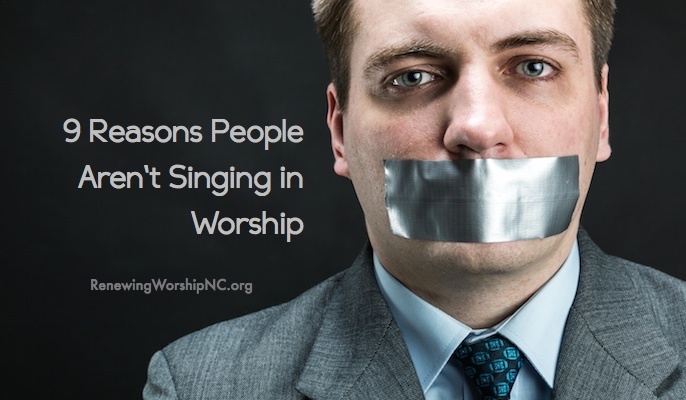 It’s hard to worship with a song when you’re straining to hit the notes. And yes, there is a noticeable difference in how loud people sing even the same song when it’s in a comfortable key. How right you are! Amen! Same thing with counter melodies in songs, such as “You Are Holy”!